Perhaps a dying art, or perhaps in fact an art that has now expanded in form, letter-writing creates a tangible connection between humans. Usually, letters are thought to be written on pieces of paper, exchanged between two individuals who care deeply for each other. Is an essay a letter? A poem? A novel? The Boston Globe refers to Jacqueline Woodson’s Another Brooklyn as "a love letter to loss, girlhood, and home." And thus, a novel also becomes a letter, one written to its many readers. Perhaps Another Brooklyn is a letter from August, a girl who never quite knew how to share the pain of losing the friendships of her four friends, her chosen sisters. Perhaps August’s story is a love letter to her absent mother, her religious father, her younger brother, her three closest friends. Perhaps it is a love letter that looks to embody all the words she couldn’t say during the difficult moments in her life. Perhaps it is a love letter for memories, desperate to preserve not just love, but the sting of loss. Letters not only allow individuals to share memories with one another, but they can also be a way to envision the future together. They can connect those who are away from each other in distance, allowing one to learn about the daily activities of her friend. They can also help create and strengthen emotional ties. In difficult moments in my own life, sometimes writing it all down made it make more sense. To be able to put weight to each word, thinking of its intention and how I want­, or need, it to be said—warping it to mean exactly what I had always meant to say. Writing can help build a community based on shared stories. The Dornsife Center Writers Room recently partnered with One Book, One Philadelphia to look beyond the letter in its original form, looking to other forms of writing such as poetry and essays for further connection. This writing workshop, inspired by Another Brooklyn, was part of the Writers Room First Tuesday series. This workshop is free, open to all, and is a wonderful place to explore the craft of writing and create shared stories. On a One Book note, Writers Room often heads over to the Philadelphia Museum of Art’s Prints, Drawings, and Photographs Collection for ekphrastic workshops—a program that focuses on writing letters in response to the photos in the collection. On March 10, get a really special look at the collection’s photos, tied to memory and other themes in Another Brooklyn. And, if a novel can be considered a letter in some shape or form, can’t other forms of creative expression, such as theater or music, be letters as well? The Dornsife Center of Neighborhood Partnerships not only provides programs for writers, but for all those who want to share their creativity, including through music and theater. 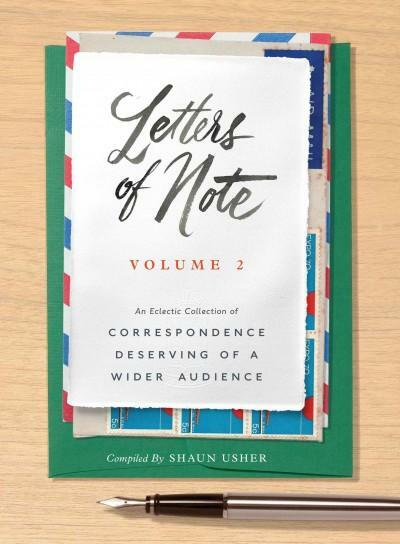 If you’re interested in the purest form of letter-writing and need some inspiration, check out Letters of Note: Volume 2: An Eclectic Collection of Correspondence Deserving of a Wider Audience, a volume of over 125 letters written by various individuals over many centuries. 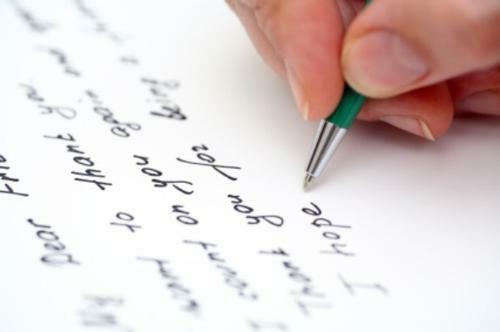 Letter-writing creates a tangible connection between humans.